Poseidon introduced its new family member, the Poseidon Tech at Rebreather Forum 3 in Orlando, Florida. The world’s first rebreather to have a fully automatic bailout system, the Poseidon Tech features a redundant back-up rebreather with fully automatic switching. In brief, you can say it’s two rebreathers in one. In the event of a malfunction, the Poseidon Tech’s safety system switches from the primary to secondary rebreather without missing a breath – or you missing a beat. With a secondary dive computer, nothing gets lost in the switch. This gives the diver time to evaluate the situation, enabling them to make better decisions. The diver can then make manual additions to the system, or leave the system in automatic mode. 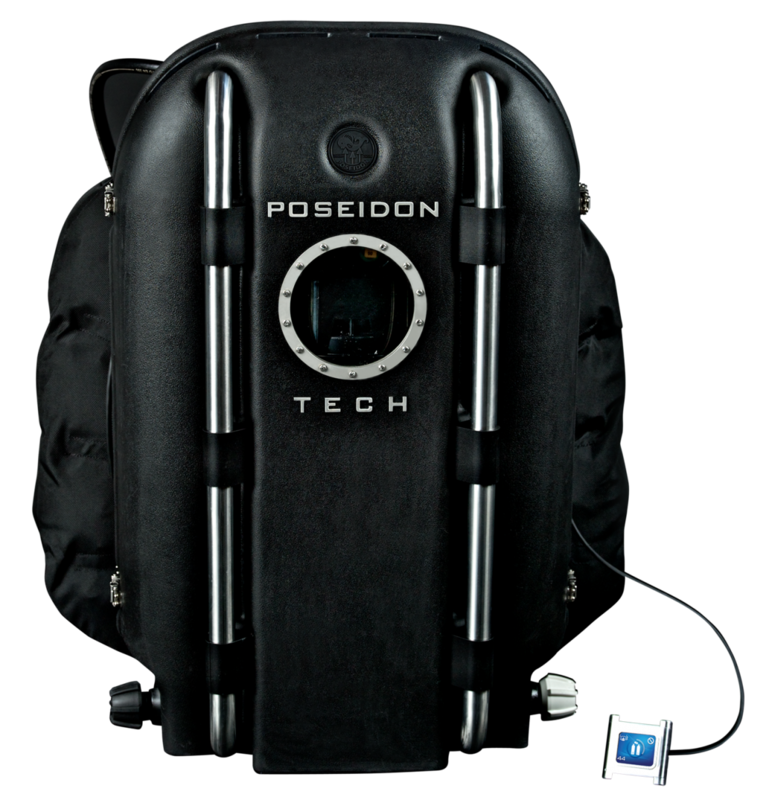 Poseidon Tech brings the diver all the benefits of rebreather diving; getting closer to marine life, much more time underwater, silent, bubble-free operation along with this new and enhanced level of Poseidon’s patented safety technology. Poseidon Tech is designed and built for one purpose: the less a diver has to think about the equipment, the better their dive will be. Poseidon Tech will be available for sale from November 2012. Pricing will be announced at that time. Poseidon was founded by divers, for divers. When Ingvar Elfström launched the world's first series manufactured single hose regulator in 1958 it became an immediate sensation. The company currently has over 2,000 sales agents worldwide. Its headquarters and manufacturing are located in Gothenburg, Sweden.